Believe it or not, it's difficult for Nintendo to find Western developers to work with because they're run too much like businesses. 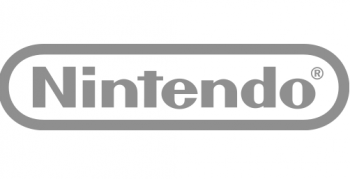 Getting to work with Nintendo is pretty much a dream goal for most development studios. To say the least, it's an incredibly prestigious position. But, it also turns out that Nintendo has a tough time finding developers out here in the West to work with. "I absolutely believe so. I work with other development partners, such as [Punch Out!! developer] Next Level Games in Vancouver and Monster Studios [of Pilotwings Resort] in Minneapolis. "And they, much like Retro, really get our development philosophies. I want to find as many people as we can, as many great companies as we can to get involved with. I'm really looking for developers with a sense of craftsmanship." "There's a real increase in the number of companies that look like they're really running a business for business' sake. There are many of those certainly within the midst of the gaming industry as a whole, or at least I feel that way." Overall, Nintendo works with very few Western developers. Aside from the studios that Tanabe mentioned, there's also NST of Redmond, Washington, which works on the Mario vs. Donkey Kong games, as well as Headstrong Games in Britain, which collaborated on the Art Academy DS titles.